Bright Beginnings Preschool is a ministry of the Crystal River United Methodist Church. Bright Beginnings Preschool offers a strong developmentally sequenced curriculum supported through a loving and safe Christian environment. We are dedicated to the development of well-rounded students and ensure that every child in our care has a wonderful preschool experience in which he or she is loved, nurtured and developmentally challenged. 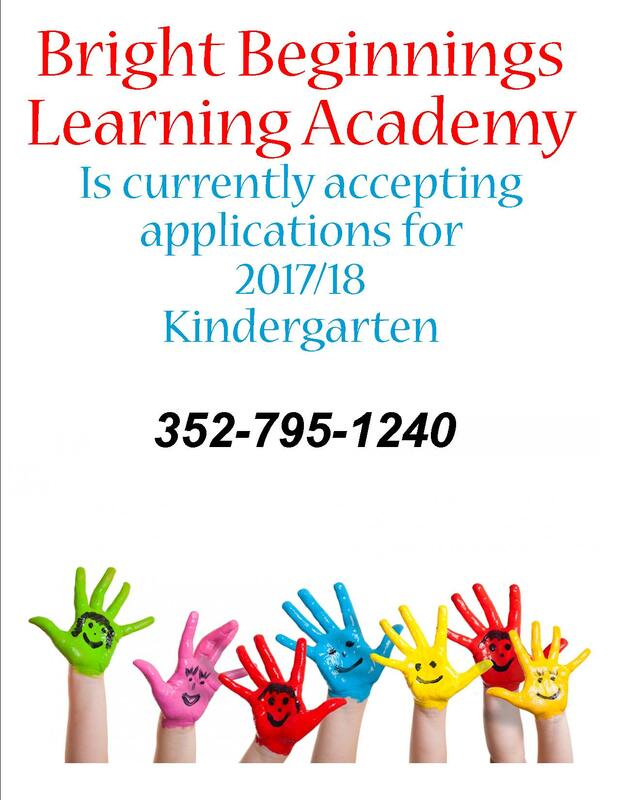 Our VPK is on Monday - Friday 9:00 a.m. - 12:00 p.m.